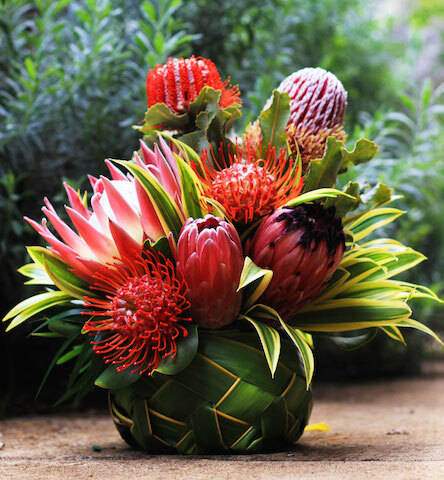 Our Protea arrangements dry naturally, making your gift a keepsake. Arrives in hand made coconut palm frond basket. * This item must be ordered 3 days in advance.